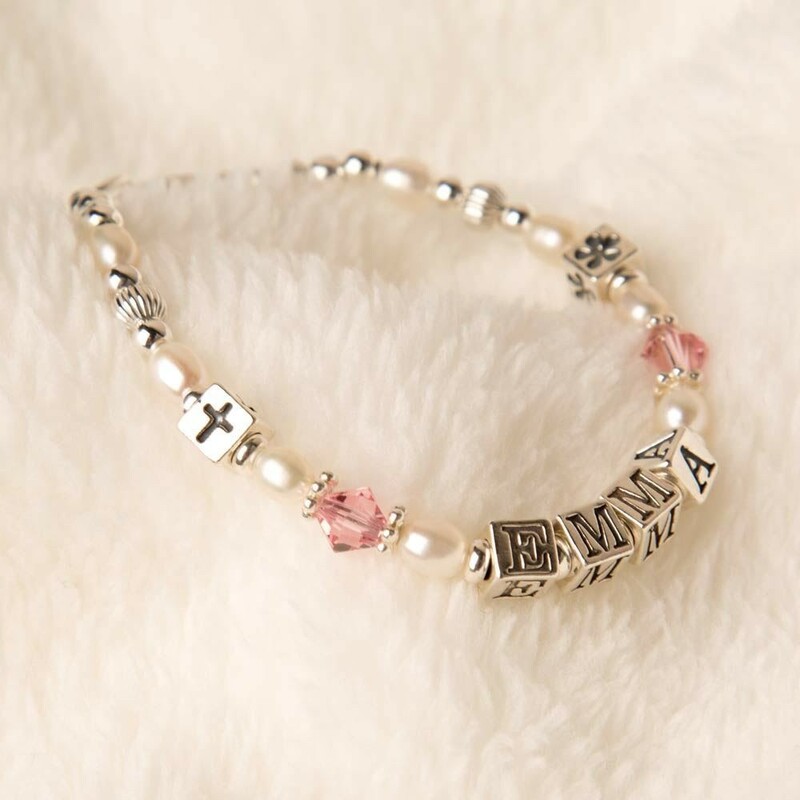 This bracelet would look lovely on any baby's wrist. Only the finest materials are used to ensure a quality finish. Even the spacers between the beads are made from sterling silver and silver crimp covers have been used to provide a flawless finish. 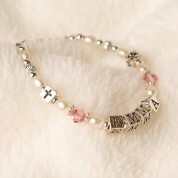 Our hand made bracelets are available in 0-12 months or 1-3 years. This bespoke gift comes well presented in a jewellery box so it can be stored away when it is not being worn.